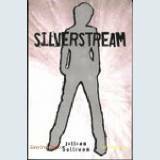 Rationale: Silverstream is a book that offers year 10 students an adventure story with tension and drama to keep them reading and on a deeper level an exploration of the meaning of freedom for a society. The story has strong female and male characters and good use of language techniques for studying. It offers scope for discussion and activities exploring to what extent an individual can and should go against the rules of the day when their conscience tells them it is the moral thing to do. The book is set in New Zealand slightly in the future, when the government has gone back to putting unemployed people in work camps, but then uses these camps as a way to control people. The main themes in this novel are to do with freedom – and how much freedom should a community give up to achieve a standard of living, the dangers of someone else deciding what rights a person has and the role of the individual in standing up to a regime. The book can encourage a look at the heroes who have stood up for society as well as showing teenagers who do this and make a difference. It examines courage and choice, concepts students of this age group are facing in their lives as they grow towards adulthood. Links to other units: Poetry. 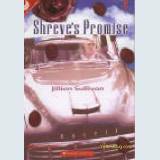 The main heroine in Silverstream carries a poetry book into the dangerous camp with her and at certain points the poems stand as an inspiration or explanation or even prediction of what is to come. One activity I use is to look at the role of poets in fighting against war, abuse of power and encouraging people to stand up for freedom. This will link into a future unit on poetry that will look specifically at the war poets. By reading some poetry in the context of a teenage adventure novel, students could go into the war poet unit with more understanding of what the poet was protesting against. The unit also links to a future unit on myths and legends, specifically studying the hero’s journey within myths of different cultures. The main threads of a hero’s journey can be studied in this novel and can also be linked in to units on film as well as myths. The book used in this unit is Myths and Legends – the gift of stories from our cultures, by Jillian Sullivan (Pearson Education 2007). The current unit will be linked to achievement objectives at level five of the English curriculum in three strands – written, oral and visual. Lessons 1 & 2 AO 2 a, b, e, d. LO 1, 4. Twenty minutes – Teacher led discussion of hero’s journey as related to myths – Ordinary world, Call to Adventure, Crossing the Threshold, The Wise Mentor, Trials, Allies and Enemies, The Innermost Cave, Combat with the Shadow, Return with the Reward. For first task, model example of story of Orpheus and Eurydice. Ten minutes – Pass out myth books and task sheet. Break class into groups, 6 x 4 or 5 for duration of unit. Thirty minutes to read story and discuss in light of questions will be asked by class. Twenty minutes – First three groups present to class. One person introduces context, one performs short speech as hero, rest to answer in hot seat questions from class as shadow, mentor, threshold guardian or ally. Class to write down paragraph in books about each hero and one aspect of their journey. Lesson three: 1a, 2a, d, e. LO1,2, 4. Fifteen minutes – rest of groups present hero stories. Teacher to carry out formative assessment that they understand the archetypal stages can answer questions in character; can perform speech with some understanding of character. Ten minutes – think pair share on personal aspect of hero quest they have been on themselves – sports, hobbies, race etc. identify one issue that was against them and one thing that helped. Ten minutes – think pair share with another student on a time they have stood up for someone or something. Ten minutes – report back to whole class with responses. Ten minutes – Recap on beginning of book. Ask a few questions what could be ahead. Twenty minutes – Read three chapters – one teacher, one class, one silent. Twenty minutes – Group work on three level reading guide. Thirty minutes group work on three level guide and report back to class. Thirty minutes – Read three chapters – one teacher, once class, one silent. Five minutes – Check all up to date with book. Twenty minutes – Recap on board hero journey elements so far. Five minutes – Explain task coming up, campaign to either promote or ban the book so students can be thinking about which direction they want to go. Twenty minutes – Whole class discussion about banning of books, some examples, what has happened. Lesson nine: 1a,d,e. 2a,c,d,e. LO 3,4. Fifteen minutes Final two chapters read out. Ten minutes Post reading response. Students to write in book what they think outcome of book’s events will be. Twenty five minutes Whole class discussion – favourite parts of book and why, what part they didn’t like and why, what characters they liked best or didn’t like and why. Lesson ten and eleven: 1a,b,c. 2a,c,d,e. LO 2, 3,4. Metaphors, adjectives, active verbs, similes, sentence structure, sensory imagery, authentic details. Teacher models and demonstrates with examples from text. Ten minutes – Teacher led discussion about threshold guardians. Pass out task sheet. Students to plot at which point in novel threshold guardians operate (could be main character’s fears as well) and back it up with quotes. Paste in workbooks. Task – as individuals identify a passage in the book where a threshold guardian stood opposed to the main character Lorna to prevent or persuade her from an action. Identify the language techniques that contribute to the feeling of tension and drama in this scene. Twenty minutes- break into small groups of five or six to discuss choices of scenes and importance of threshold and guardian. Students to identify scene they have chosen for working on in next lesson. Forty minutes to work on task. Twenty minutes class sharing at end of lesson. Students to write in books at least two other scenes discussed and three features from them. Books collected for marking assessment. Under each heading write if this feature applies to the chosen passage, put in the specific examples from the text and a brief explanation of how they helped add to tension in scene. Example – (p 77-80) Lorna walks three paces from one end of the room to the other – specific detail to show how cramped the room is and feeling of being trapped. She sees the guard has tomato sauce on his collar and he smells of deodorant – this shows he is close in her personal space, adds to cramped and trapped feeling and possibility of being overpowered. Fifteen minutes – Teacher led discussion – how is a character defined? List as class under characters on whiteboard – physical descriptions, what it is they want in the book. Thirty minutes – hand out character task sheet, model an example, then class to work individually on sheets and paste in workbook – telling what a character is like by what they say, the use of dialogue to define character. Fill in direct quote and write what this says about the character. Twenty minutes – whole class and teacher led discussion on what is theme. Plot plotted out on whiteboard. Shape looked at. How does theme differ from plot? Twenty minutes – break into groups. Twenty minutes – report back from groups to class. Presenting, thinking critically, processing information. Twenty minutes teacher led discussion on visual and verbal features for static image. Class to choose to do book cover or poster. Poster can advertise and support the book or used to ban the book. Ten minutes – Pass out exemplars of posters and written concept. Discuss. Pass out task sheet and explain. Resources: Exemplars, poster, task sheets, art supplies and heavy paper. Ten minutes – teacher led discussion of role poet’s place in protest and politics. Twenty minutes – reader’s theatre, end unit by class breaking into groups, assigned full poem from book, time to practice and then performing poem to rest of class. This leads on to next unit on poetry, specifically the war poets. 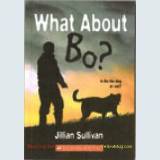 Jillian is an award-winning author for children, young adults, and adults. A mother of 5, a Grandma of 8, a teacher of the 'Hero's Journey', a cyclist and a builder of strawbale houses.